As someone who mainly wears jeans and black clothes, I find it so hard to dress up for occasions such as weddings and smart events. 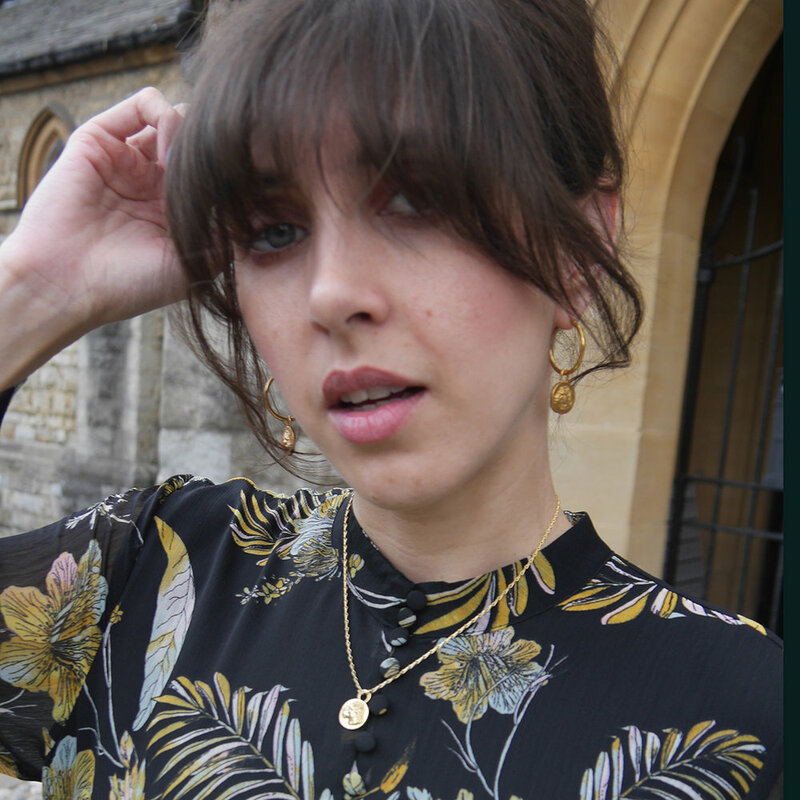 I usually head to a vintage shop to see what I can find, and tend to wear black on most occasions, even on my own wedding day (just call me Morticia Addams). 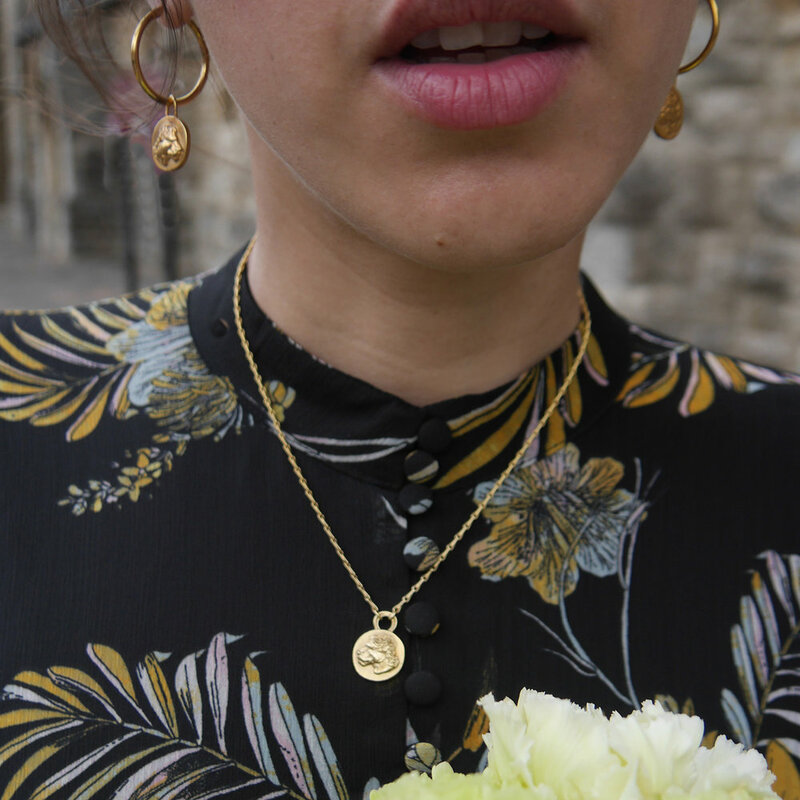 The one thing I never find difficult is deciding which piece of jewellery to wear and I often find that the main element to dressing an outfit up or down is jewellery. It is something I have done for years....just add some hoops and a pendant to a casual day outfit and it can be transformed. 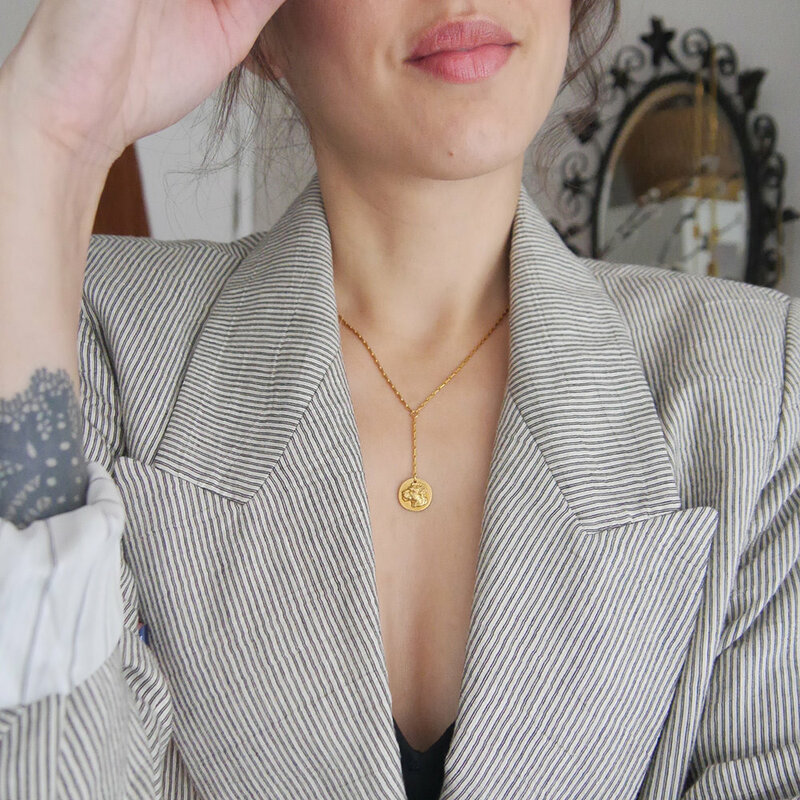 When Sarika and I were discussing this post we decided to show two looks; one with a vintage dress and the other with a cami-top / blazer but both worn with my more petite pendants. The beauty of this pendant is that it can be worn either way, the large flower on the back is a bigger version of the flowers in the Lioness's mane. 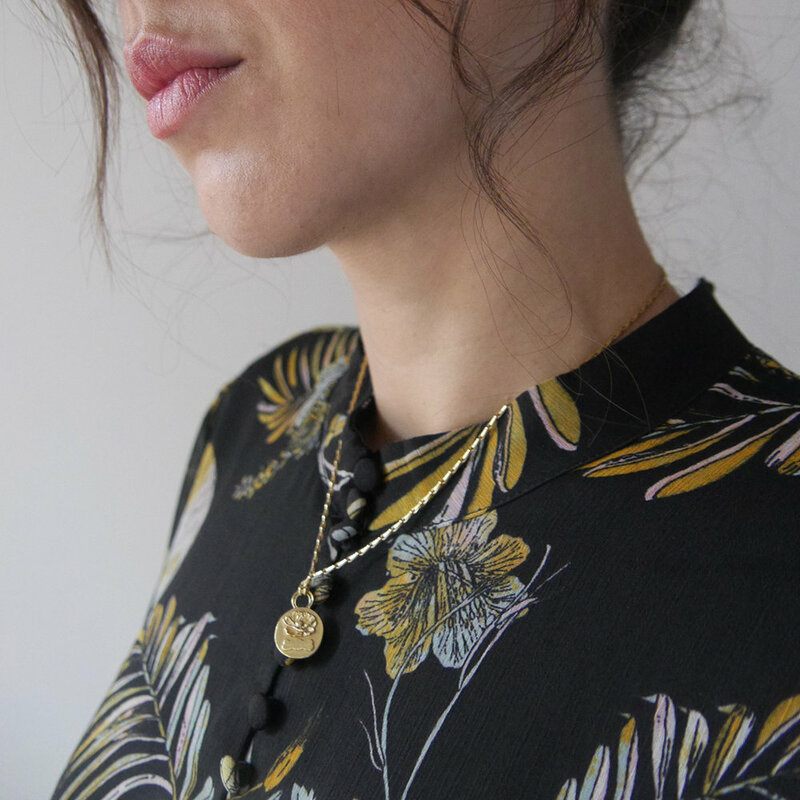 The drop coin pendant is one of my more elegant pieces, it works really well on an open neckline. I tend to wear this one on its own but I saw it layered on one of my customers and I really liked the way it looked, so Sarika has shown it worn both ways. I enjoy mixing my pieces with vintage finds. I found a stunning bracelet at Malvern Flea market, not an everyday piece but I wear it on special occasions and love the eclectic mix of old and new. I take a lot of inspiration from vintage treasures so it seems very fitting.